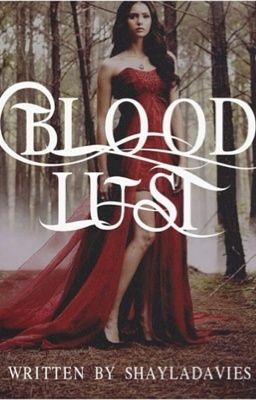 Bloodlust - meaning in this book = the period of when a vampire or any other supernatural being hunts. ~~~~~~~~~~~~~~~~~~~~~~~~~~~~~~~~~~~~~~~~~~~~~~~~~~~~~~~~~~~~~~~~~~~~~~~~~~~~~~~~~~~~~ Madi May doesn't do much, her life isn't very exciting so it's all just basic: College - Homework - Sleep. But everything changes when the supernatural world interferes with her life because of what she is. Until Madi can understand her true ability will she be able to use it to fight against what was dragging her and Fabien to hell. She and Fabien will need to practice hard to stop the evil vermin from destroying the parallel worlds and in doing so, will have to make a few sacrifices of their own.